In my journey to becoming a therapist, one of my goals is to incorporate yoga into mental health practice. Now that I’ve completed my Masters in Social Work, I am planning on becoming a certified yoga instructor in order to achieve this goal. (Both of these things – completing graduate school and starting a yoga teacher training – will be covered in upcoming posts.) I was fortunate enough to attend a day-long training about chair yoga and organize a trauma-focused yoga workshop recently. Both of these were really exciting to attend and organize, and I learned so much about ways to bring these two worlds together. This workshop was led by a local mental health clinician and yoga instructor, Kate Graham, and focused on working with clients who are suffering from depression, anxiety, or trauma. I was a bit starstruck, because she has done lots work with the Trauma Center at the Justice Resource Institute, including research on trauma-focused yoga. We spent time talking about the differences between talk therapy and body therapies. 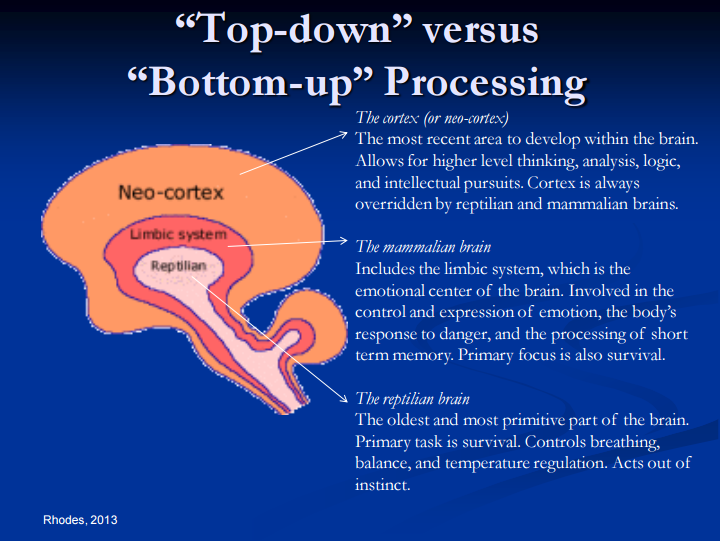 In talk therapy, the approach to healing is considered a top-down one – beginning with the mind and working down. In yoga or other body therapies, the approach in a bottom-up one – beginning with the body and working up towards the mind. 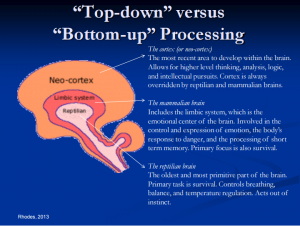 The rationale behind using a bottom-up approach includes a couple things; 1) some people either have a really difficult time talking about trauma or don’t have the words to talk about it, as can happen in the case when trauma happens prior to language development, or 2) people who have suffered trauma can be incredibly out of touch with their bodies, so using a body-based therapy allows them to come back to their bodies where healing can happen. In trauma, a challenge might be isolation, so the goal would be community and connection. Similarly, the goal for dissociation would be grounding; for feeling helpless and hopeless, empowerment would be cultivated. Examples in depression would include, darkness would be met with brightness and light; for self-loathing, self-care and self-love would be used. Lastly, some examples for anxiety include, for restless and rapid movement, stillness and grounding would be the goal; muscle tension and shaking would be met with muscle relaxation. Thinking about treatment in this way was really useful in designing treatment approaches. During the workshop we practiced some chair yoga sequences that could be used with each disorder and had the opportunity to teach them to another group member. This was both a great chance to feel how each sequence changes your mood and body, as well as practicing what it’s like to lead someone through a sequence. One of my favorites was lotus mudra, coupled with raising arms overhead. It provided a really deep sensation for me. Moving next into the trauma-focused yoga workshop that I organized. Having dove into the world of trauma-focused yoga (TFY) and making friends with some local yoga instructors, I wanted to bring a workshop to Boston College about the topic. Having talked to several of my classmates about this topic, I knew there was interest on campus. When I first set out to bring a workshop to the students, I didn’t realize that it was going to be nearly as complicated as it ended up being. Getting the whole thing organized took about four months of going back and forth with several people at BC, reaching out to student groups, and having to switch instructors to teach the course due to money issues. However, after the four months of long planning, it finally came together. It was incredibly exciting to see the amazing turnout of students (around 35 on a Saturday close to finals!) and to experience the fruits of all that labor. And, even though there were really annoying aspects of the planning process, it was a learning experience to have gone through it all. Alison Rhodes, who is an adjunct professor at BC and a TFY instructor, led the workshop. While the theory behind using TFY with therapy was similar to that of the chair yoga workshop, this one included a yoga practice that allowed everyone to experience what it was like to participate in a TFY class. Alison also spent time focusing on language when leading a TFY class and how to be mindful in choosing positions that will be helpful rather than triggering for someone who has experienced trauma. Both of these workshops were amazing and useful in their own ways. It’s been such a great opportunity to have training be so readily available while being in school. Hopefully, these opportunities will continue to happen after school, and maybe one day I’ll be running a workshop about integrating therapy and yoga.